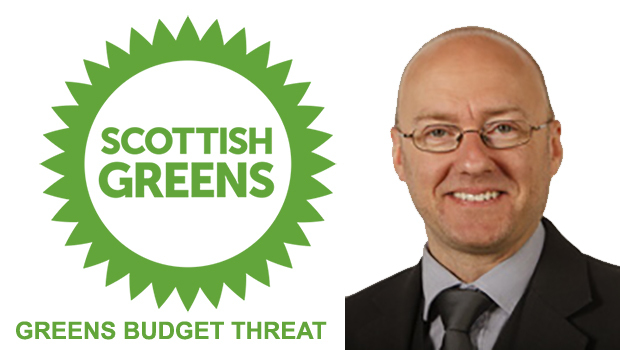 Scottish Greens in threat to torpedo SNP Scottish budget and potentially trigger an election. News that the Scottish Greens wont be supporting the Scottish Government budget on Thursday over local authority funding and may therefore prompt a Scottish Parliament election have been met with incredulity by supporters of Scottish independence, many of whom gave the Greens their second vote last time around. At this moment in the history of our country, with a hard Brexit looming and with the First Minister mere weeks away from announcing the details of a second independence referendum, it is hardly surprising that there is anger and disbelief in almost equal measure at this move, which would set back and at the very least temporarily derail any attempt to hold a referendum. An independence referendum has a mandate in the current Scottish Parliament, having previously been agreed in principle in March 2017. A new election may risk not returning a pro-independence majority, as the other parties look to once more gain seats disproportionately on the second vote. Many SNP supporters were willing to give the Greens their second vote at the last election in order to enable them to gain more seats on the regional list and form an independence majority. The SNP had advocated for “Both Votes SNP” among their voters in an attempt to hold their parliamentary majority but the level of second votes that went to the Greens rendered that approach unsuccessful in terms of seats. If the Scottish Greens cause this major setback to the prospect of Independence and an escape from an economically catastrophic hard-Brexit, they may have a long way back from the political wilderness. We have included some comments below from Twitter. Are you really going to risk all, with the threat of Brexit and possible martial law, never mind gearing up for #Indyref2, for a slice here and there for council funding? Irresponsible Andy. God help you if you bring down the SNP government when we are all being threatened by Brexit. I often thought that, in an independent Scotland, I could consider voting Greens. I am afraid no longer, if this is the line your party is pursuing.